Have you heard the news? 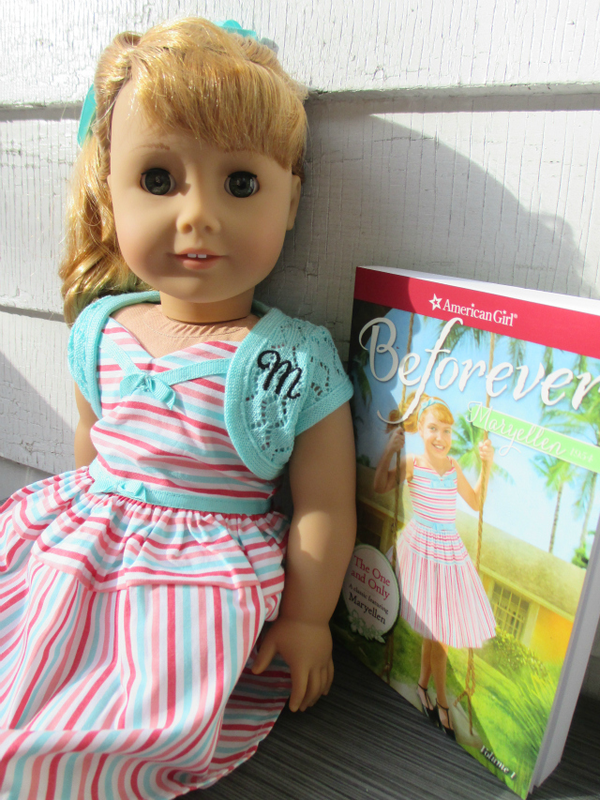 American Girl recently introduced a new BeForever character from the 1950's; Maryellen Larkin. 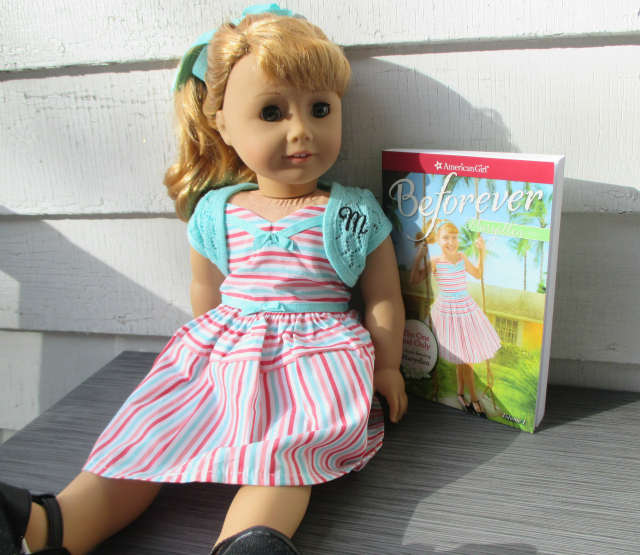 You all know how much we adore American Girl around here, and we are absolutely loving that American Girl now has a character and storyline from the 1950's! Maryellen's line is fairly extensive and offers up a gorgeous 18" doll, corresponding period specific accessories & outfits (for dolls and girls), play sets (we LOVE Maryellen's Dinner Set - it's sure to be a HOT wish list item this Holiday season) , a 3 book series, and MORE! 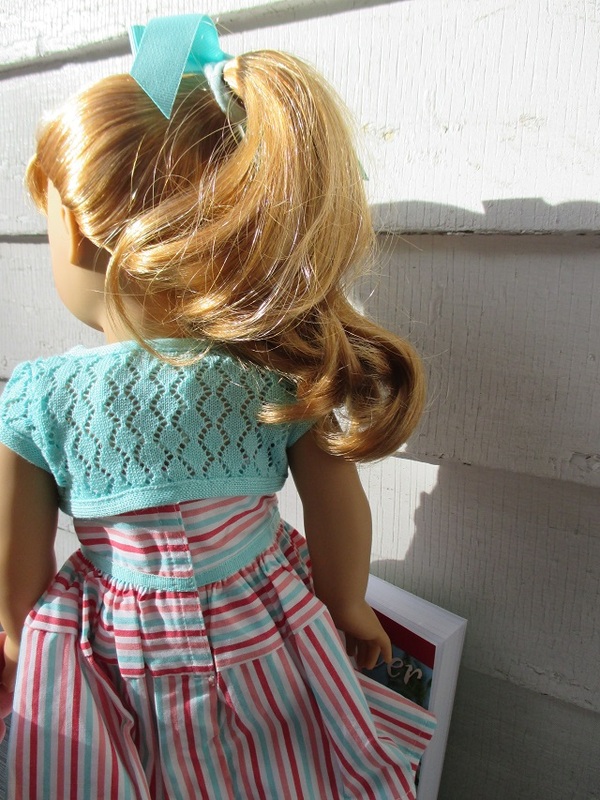 The 18" Maryellen American Girl doll has hazel eyes (that open and close), long strawberry-blog hair with bangs (that arrives in a high ponytail with just a bit of wave/curl). 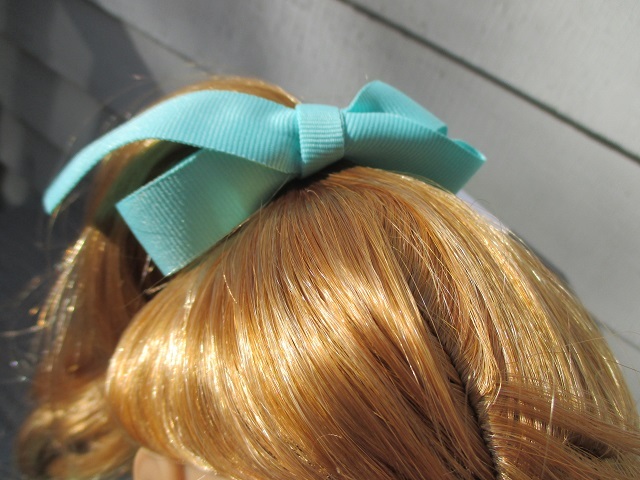 Her authentic 1950's welcome outfit consists of a cute striped dress with a sweetheart neckline and aqua bows, an aqua knit shrug monogrammed with her first initial ("M"), black Mary Jane style shoes (with a Velcro closures), white underwear, and an aqua ribbon (tied in a bow) on her ponytail holder. 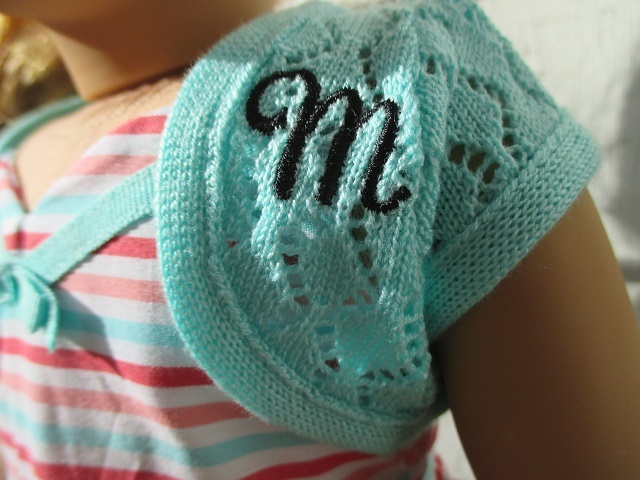 In addition to oohing and ahhing over the doll and accessories, we are also LOVING Maryellen's story! My daughter just finished reading the first book in her series, titled "The One and Only," and she really enjoyed it. The book introduces young readers to Maryellen's character. She's nine years old, and resides in Florida with her 5 siblings and her parents. With such a big family, Maryellen longs to stand out from the crowd, and her cheerful fun go-getter disposition definitely helps! Though things don't always go as she plans, her great attitude helps her persevere. As a mom, I love the great message this book sends to young girls. We can't wait to read the next story in her series, Taking off: A Maryellen Classic 2! I think that Maryellen's fun and sweet storyline will also serve as a great conversation starter for young girls and grandparents. Think about it: many young girls today have grandmothers and grandfathers from this generation. So this is a fun way for them to connect to that time period and get a sense of how their grandparents grew up. Help American Girl spread some #Joy2EveryGirl this holiday season! American Girl is doing some great things for kids in need this holiday season, through their "Get a Friend, Give A Friend" charitable initiative. As a result of your 18" doll purchase, American Girl is donating a second doll (up to 1,000 dolls each day - for 25 days 11/6/2015 - 11/30/2015) to The Children's Hospital Association. Entry is simple - you can enter through the Rafflecopter form below. Good luck! Disclosure: A media sample(s) was received. As always, all thoughts and opinions are our own. I would like to gift Maryellen's Poodle Skirt Outfit. My daughter would like the ice skating outfit. My daughter would like the diner! The poodle skirt is adorable!! My daughter would love the Maryellen's Ice Skating Outfit & Accessories! Maryellen's Jukebox looks and sounds like it would be so much fun. I think that would be nice to have for any AGD collection. I agree! I love it so much! The jukebox is my fave! My daughter would like her dog, Scooter! I think my daughter would love the JukeBox. I would love to have this as well! I couldn't think of a cuter speaker! Thanks for awesome chance. My daughter would be thrilled. I would love to gift the Maryellen's Diner Set to our grand daughter. My kids would love the Jukebox. I like Maryellen's Diner Set. I like the Sofabed Set. The Mary Ellen television console is great!! Just like the old days! I love her dress as well! I would love Maryellen's Jukebox! The matching girl's dresses would be perfect gifts! I love Maryellen and the diner, and the jukebox and accessories are adorable. Oh this is my Christmas list as well! lol!! The more I look at these pictures of the Maryellen Larkin Doll the more I want her! My granddaughter would love her so much. And her clothes are so adorable and stylish. Maryellen's Jukebox is neat! This would be a wonderful gift! I love it to. its would be a perfect gift! My granddaughter would love the Maryellen's Diner Set. I love the poodle skirt!! Im crossing fingers this would be awesome to win. Thanks for chance. I also like the Maryellen's Sofa Bed Set. Thanks. my girl would love the jukebox! 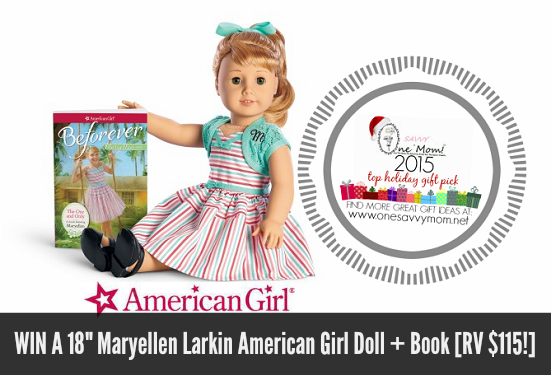 I love american girl dolls and especially love MaryEllen too! I would love the Skating Outfit for MaryEllen.